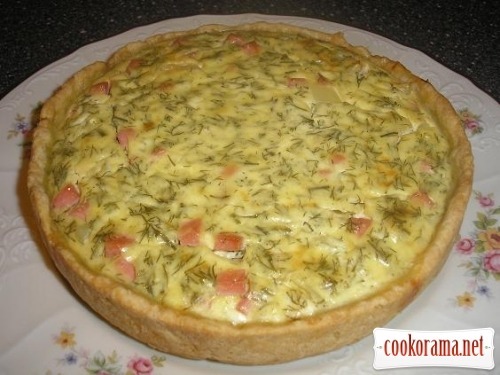 Grate butter, mix with 1 egg and flour. Salt it. 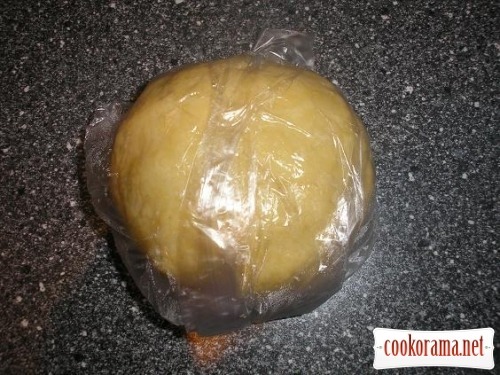 Knead steep dough and put it in the fridge for 30 min. 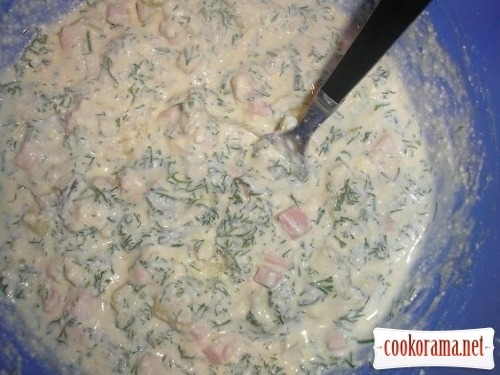 Mash curd with fork. Add finely chopped sausage, pepper and dill. 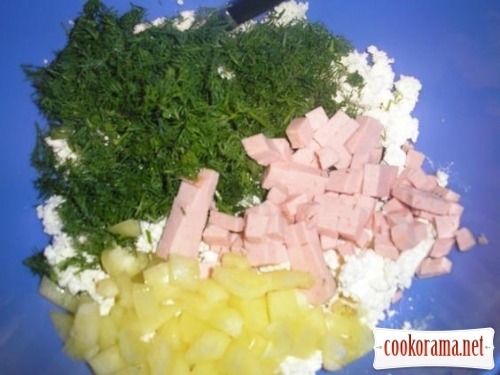 Mix 2 eggs and add to curd. This number of products is calculated for form 20сm in diameter. 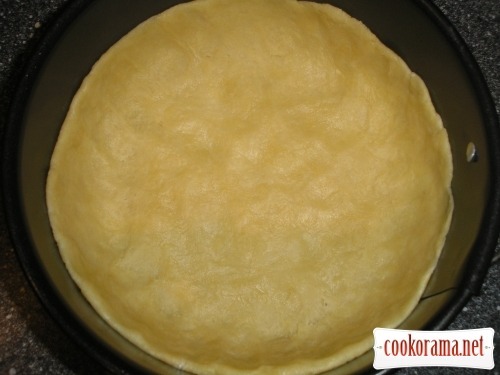 Cover bottom of form with baking parchment. 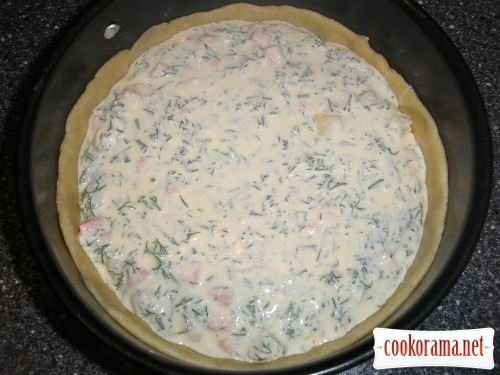 Spread dough in form, making high sides. Pour filling in form. Bake at 180℃ for 40 min. I have a little unbaked dough. 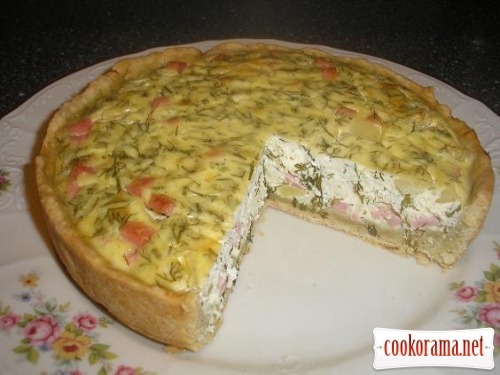 Top of recipe "Curd quiche with sausage"
Боже, який звичайно-незвичайний рецепт! СУПЕР! ДЯКУЮ!! !